Stockholm (AFP) – Highlights from a report issued by the UN’s Intergovernmental Panel on Climate Change (IPCC) on Friday. Warming since 1951 has been about 0.12 C per decade. This slowed over the past 15 years to 0.05 C per decade, but the timescale is too short to read anything into that yet, says the report. Loss of Greenland’s icesheet has likely increased from 34 billion tonnes per year in the decade to 2001 to 215 billion tonnes a year over the following decade. In Antarctica, the rate of loss likely increased from 30 billion tonnes a year to 147 billion tonnes a year over the same timescale, mainly from the northern Antarctic peninsula and the Amundsen Sea sector of West Antarctica. Arctic sea ice contracted at a rate as high as 4.1 percent a decade from 1979 to 2012; there has been shrinkage of summer ice extent every season and in every successive decade. But Antarctic sea ice “very likely” increased by up to 1.8 percent per decade during the same period. Snow cover has been retreating in the northern hemisphere since the mid-20th century. There has also been a “considerable reduction” in the thickness and extent of Siberian permafrost over the last three decades. The global mean sea level rose by 19cm from 1901-2010, an average 1.7 mm per year. This accelerated to 3.2 mm per year between 1993 and 2010. 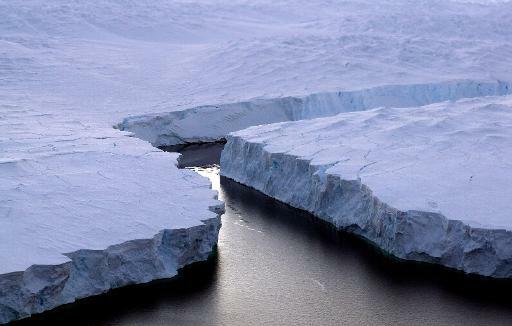 During the last period between Ice Ages, when temperatures were lower than those mostly projected for 2100, the maximum sea level was at least five metres higher than present, due to meltwater from Greenland but also from Antarctica. Glacier loss and ocean thermal expansion account for about 75 percent of observed sea level rise since the early 1970s. In 2011, levels of CO2, the main greenhouse gas, stood at 391 parts per million in the atmosphere, a rise of about 40 percent over pre-industrial levels. Up to 2011, total man-made emissions of CO2 since industrialisation were 545 billion tonnes of carbon. CO2 from fossil fuels and cements amounted to 365 billion tonnes of carbon. Deforestation and other land use accounted for 180 billion tonnes. The ocean has absorbed 155 billion tonnes; natural terrestrial systems 150 billion; 240 billion are in the atmosphere. CO2 uptake by the sea very likely results in acidification of the ocean. In its projections for the future, the report uses four scenarios called Representative Concentration Pathways (RCP). These are based on the amount of heat-trapping carbon gas that enters the atmosphere. They comprise RCP2.6, the lowest; RCP4.5; RCP6.0; and RCP8.5, the highest. To gain the overall view of warming since the Industrial Revolution, about 0.7 C must be added (from 1850 to 2012, there has been warming of about 0.78 C). To have a good chance of meeting the UN target of limiting man-made warming to less than 2C compared to pre-industrial times, all carbon emissions from man-made sources must be limited to about 1,000 billion tonnes, or gigatonnes. “An amount of 531 gigatonnes was already emitted by 2011,” warns the report. Exceptional rainstorms are “very likely” to become more intense and more frequent over mid-latitude countries and the wet tropics. The area encompassed by the monsoon systems is likely to increase over the 21st century, and monsoon rainfall is likely to intensify. The monsoon season is likely to lengthen in many regions. “Sea levels will rise for “many centuries” beyond 2100 due to thermal expansion. If CO2 stabilises below 500 parts per million, the rise is likely to be less than 1m by 2300; but it will be up to 3m if CO2 concentrations are beyond 700ppm. The rise would be higher in the event of “sustained mass loss” by ice sheets. The near-complete loss of the Greenland ice sheet over a millennium or more would drive up the seas by up to 7m. Rough estimates say the threshold for this is between 1C and 4C over pre-industrial levels.